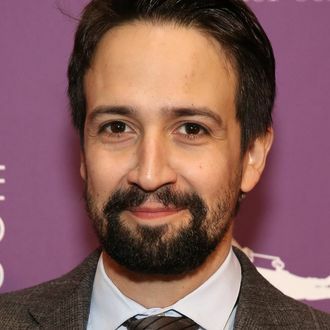 Congratulations to your very emotional teenage self: Lin-Manuel Miranda has signed on to direct a film adaptation of a Jonathan Larson musical. Specifically, Miranda is directing tick, tick … BOOM!, the autobiographical musical Larson wrote before Rent would make him world famous, though he died before that show’s first preview. According to Deadline, Dear Evan Hansen’s book writer Steven Levenson is writing the screen adaptation, while Miranda is producing it with Brian Glazer, Ron Howard, and Julie Oh. Miranda starred in an Encores! Staging of tick, tick … BOOM! in 2014, so he already knows the musical pretty well, as does pretty much anyone who has gotten worried about turning 30.